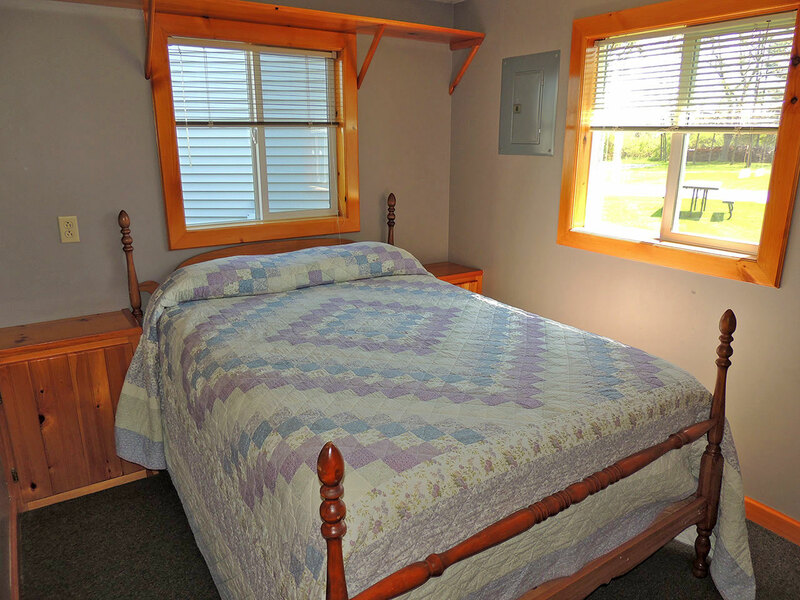 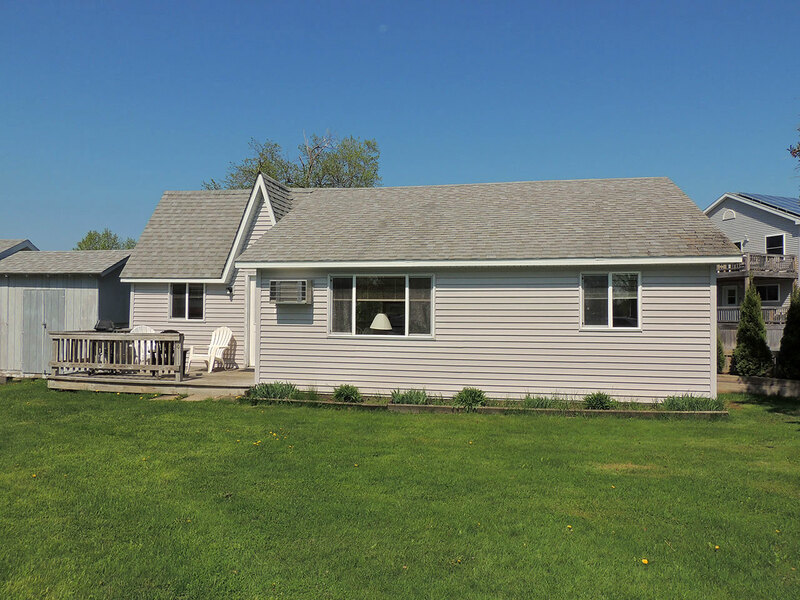 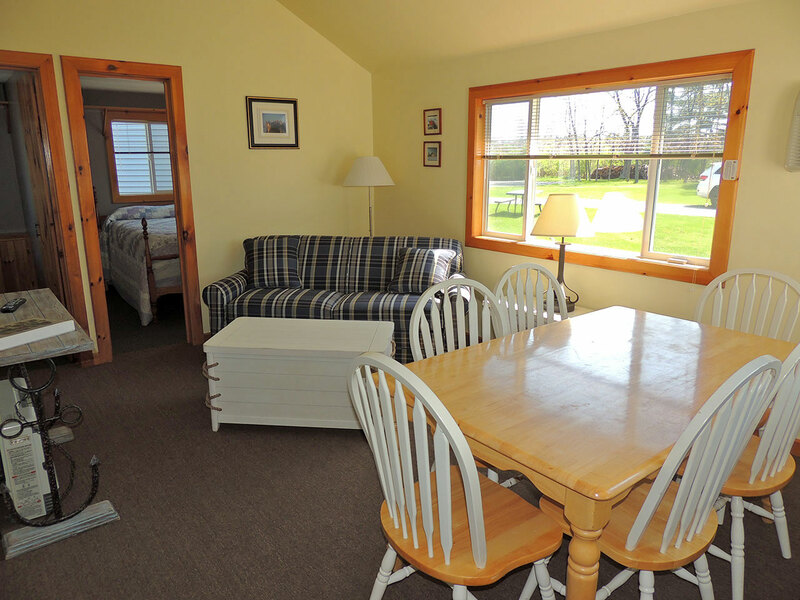 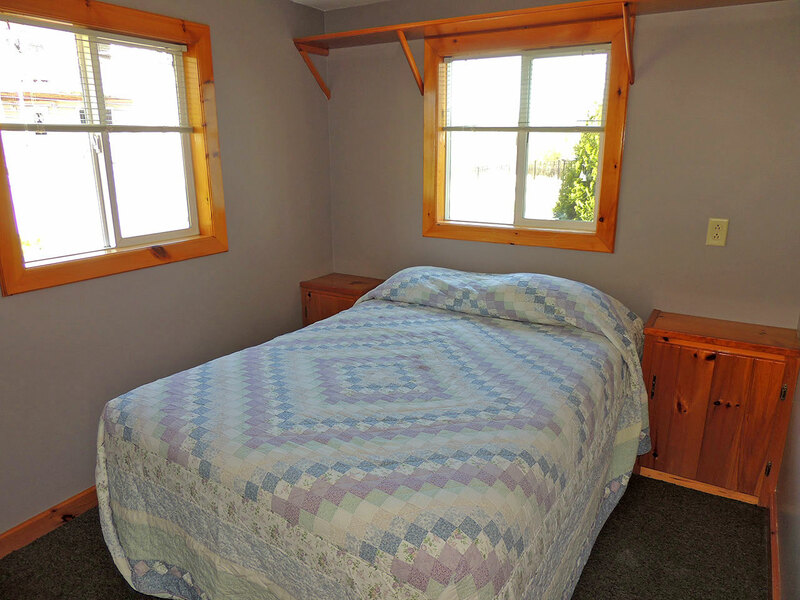 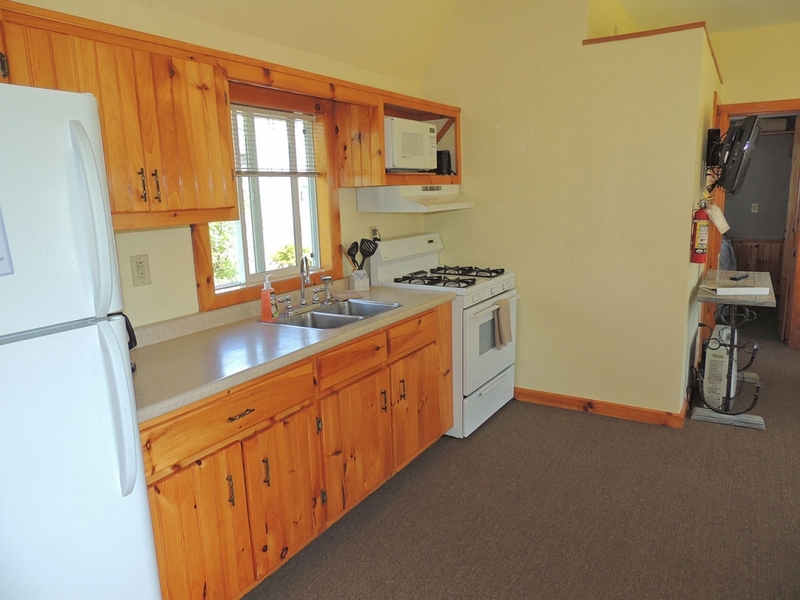 This cozy three bedroom is one of our garden view cottages with a large yard area. 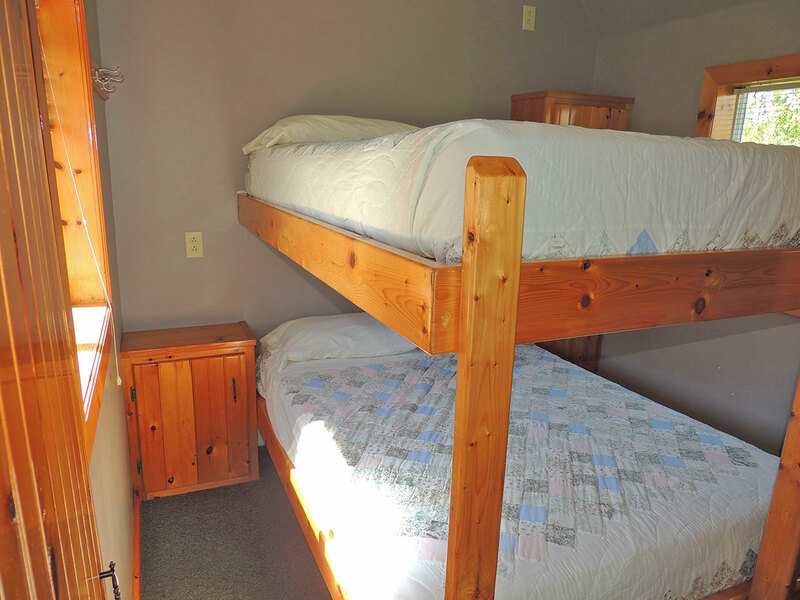 Two bedrooms each have a double bed and across the open living room and kitchen is another bedroom with a double size custom built bunk bed. 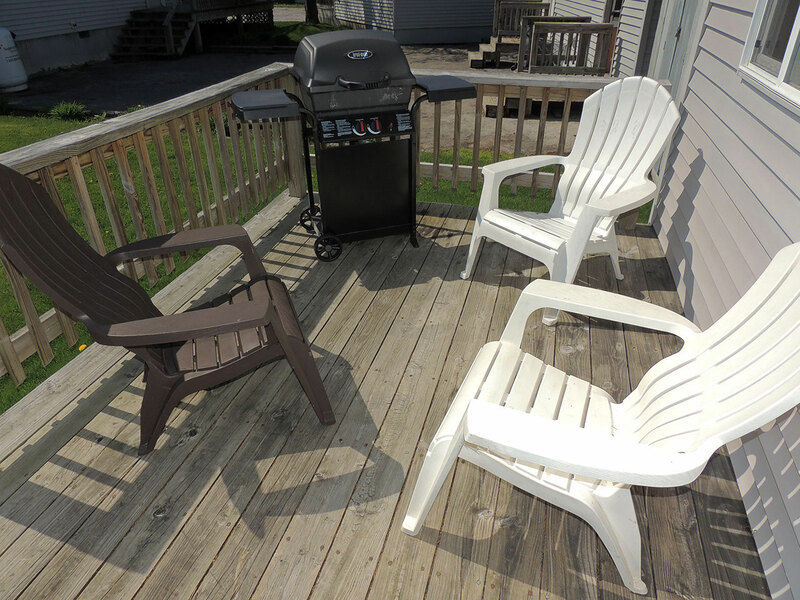 Adirondack style chairs add comfort and convenience to your deck and a picnic table brings the same to your yard. 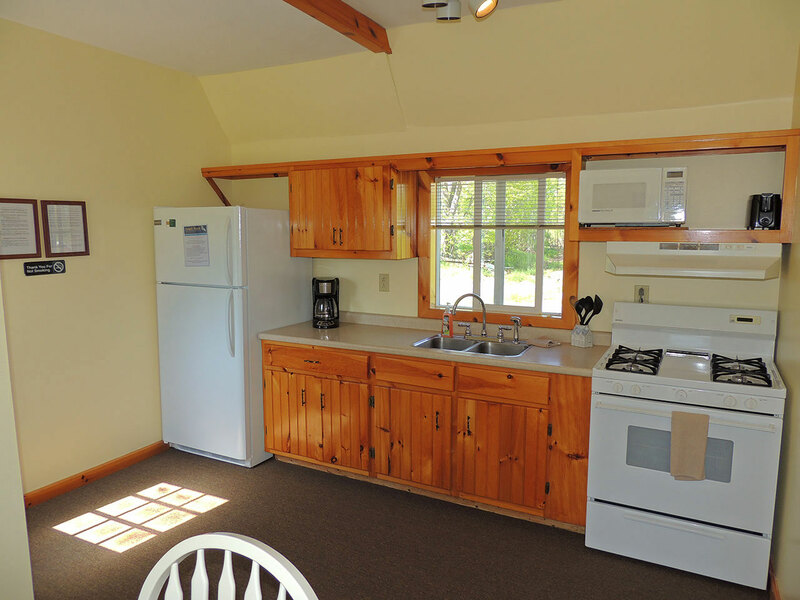 It’s fully equipped with heat and air conditioning, refrigerator, stove, outdoor gas grill, coffee maker, microwave oven, dishes, pots and pans, etc., flat screen TV with cable service and wireless internet access to accommodate your vacation needs. 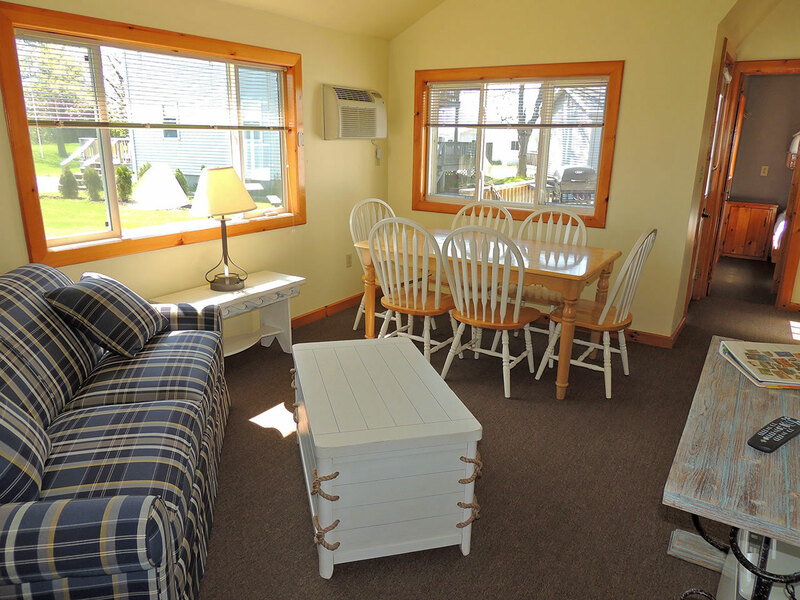 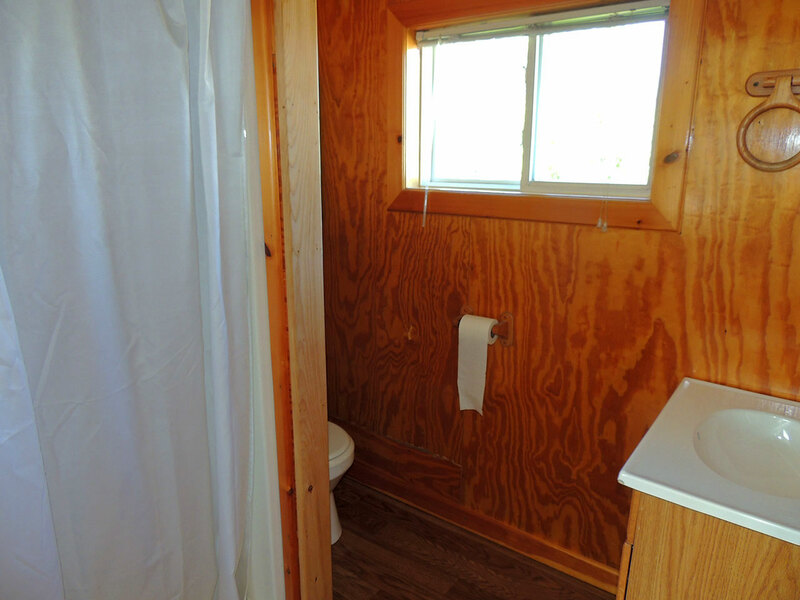 It is best suited for 6 people, but can accommodate up to 8 people total.